Every year Brewster Academy has a roster stocked with some of the best prospects throughout the country. This year, they have taken it up a notch, and may just have the most talented team in the nation. 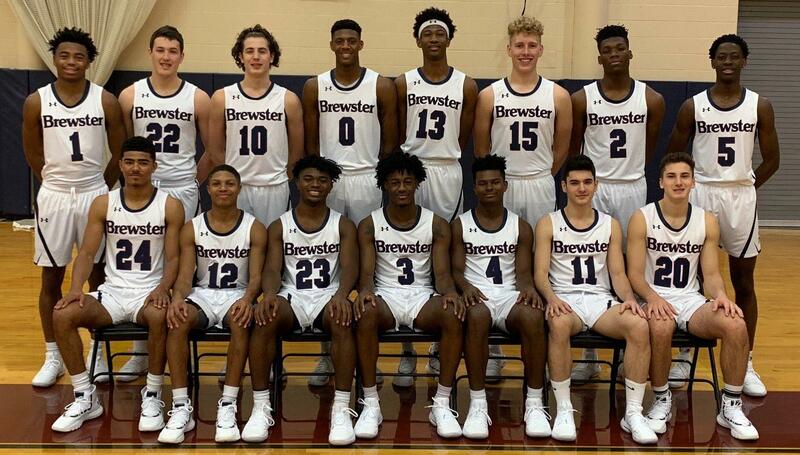 Key additions to Brewster Academy include NC State commit Jalen Lecque, Ohio State commit Alonzo Gaffney, Texas commit Kai Jones, four-star Anthony Walker, four-star Jamal Mashburn Jr., ESPN’s 2nd best prospect in the class of 2021 Terrence Clarke, Zane Meeks and Davit Kakushadze. The only main piece for Brewster returning is Cal-Berkeley commit Joel Brown. The goal for the Bobcats is to win the National Prep Championship, and it’s safe to say that they are in good shape to do just that. This is one of the most difficult teams in the country to determine who the star is. With talents like Lecque, Gaffney, and Jones you could make an argument for each of them. Lecque will bring the most star power of the group, and according to ESPN's Jonathan Givony, he's seriously thinking about skipping college to go straight to the NBA next spring. With his speed and athleticism, Lecque has the ability to get to anywhere he needs to on the court. He continues to develop as a player and is starting to fit in really well with this year’s team. Brewster Academy always draws a lot of attention, but Lecque should bring even more than normal this season. Brewster Academy heads into this season with yet another stacked roster, but this one is special. With prospects like Jalen Lecque, Alonzo Gaffney, Kai Jones and more they are one of the most talented teams throughout the nation. Gaffney is as versatile as they come and gives Brewster more options on offense. Texas commit Kai Jones is a special talent and still has so much room to grow with his size and athleticism. Miami commit Anthony Walker is a matchup problem similar to Gaffney is for opponents. Head coach Jason Smith will rely on senior guard Joel Brown to be this team’s leader. It doesn’t end there for Brewster as they have debatably the number one sophomore in the country in Terrance Clarke, a high major junior guard in Jamal Mashburn Jr. and two division one prospects in seniors Davit Kakushadze and Zane Meeks. Brewster Academy has the talent to be regarded as the top post-graduate program throughout the nation. One thing you can guarantee is that Head coach Jason Smith will have his group ready as they will face a rigorous schedule. Smith loves having the talented players he has, but there is more to it than that. With past players like Donovan Mitchell, the Brewster community felt their impact beyond the court. Smith isn't taking anything for granted this year and knows that each team they play will give their best effort.